The following replays show two of the most basic dragon attack styles made against TH8 bases, which are lightning based attacks and rage/heal based attacks, using 10 dragons in either case. These two styles are sufficient to 3-star nearly every base one may run into in a clan wars. Newer players should focus mostly on the lightning based attacks, since lightning should always be used against any TH7 base and weaker TH8’s. Additionally, rage/heal attacks require more skill/control when attacking in order to be effective, so ability with lightning attacks should be obtained first before moving on to rage/heal. A mistake often seen in popular strategy videos is the excessive use of additional balloons (beyond cc loons) in the dragon attack. This attack style should only be reserved for very rare/extreme circumstances, as a full-dragon attack is nearly always better. The basic idea of using lightning spells is to target a hard to reach AD with lightning, and then to attack the two remaining AD’s with our dragons. With this attack, it is not always critical to keep our dragons in a tight group, especially when the AD’s are spread out from one another. It is more often the case that a nice uniform attack line is the optimal approach into the base. When it is the case that the AD’s are clustered and centered in the middle of the enemy base, the use of lightning becomes a less effective option. Alternatively, rage/heal provides an excellent solution in allowing us to 3-star these kinds of bases. Moreover, the rage and heal spells complement cc balloons greatly, so proper timing of balloon deployment is critical. 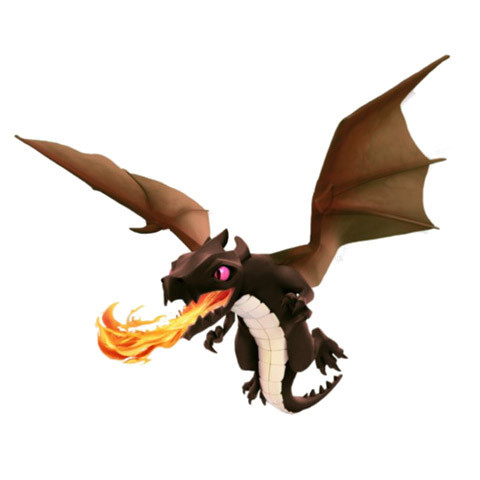 Unlike the use of lightning spells, it is very important to keep as many of our dragons grouped together as they move into the core, in order to maximize the full potential of both rage and heal spells.